Discover a greater depth to the Awakening Card in the Heart Healing Symbols Cards. Discover what your personal tools are that actually keep you asleep. You will learn how to use foundational awakening tools to maintain awareness and awakening. 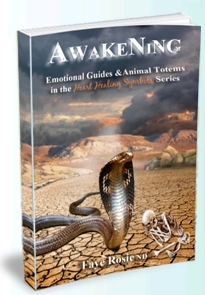 Discover the animal totem and the emotional guides for awakening to experience a greater depth of dimensional levels through the Heart Healing Symbol Series. 6 videos laying the foundation for maintaining your awakening to further your journey into your inner shaman. Course includes the first 6 videos (with manuals and adventure journeys) of Modules 1&2 of the On Line Shamanic Foundational Course. To complete the whole course, your investment: full fees MINUS the $97 for the TASTE. Heart Healing Centre will automatically create a log in for you when purchasing this product. Please wait for email confirmation before logging in to our members section. 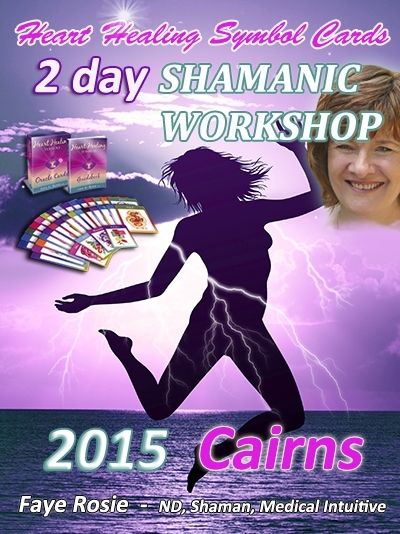 Cancellations (up to 8 days before workshop date) are refundable minus the deposit (processing fee). As an option to refund (8 days notice), you may apply the full amount to any future seminars.